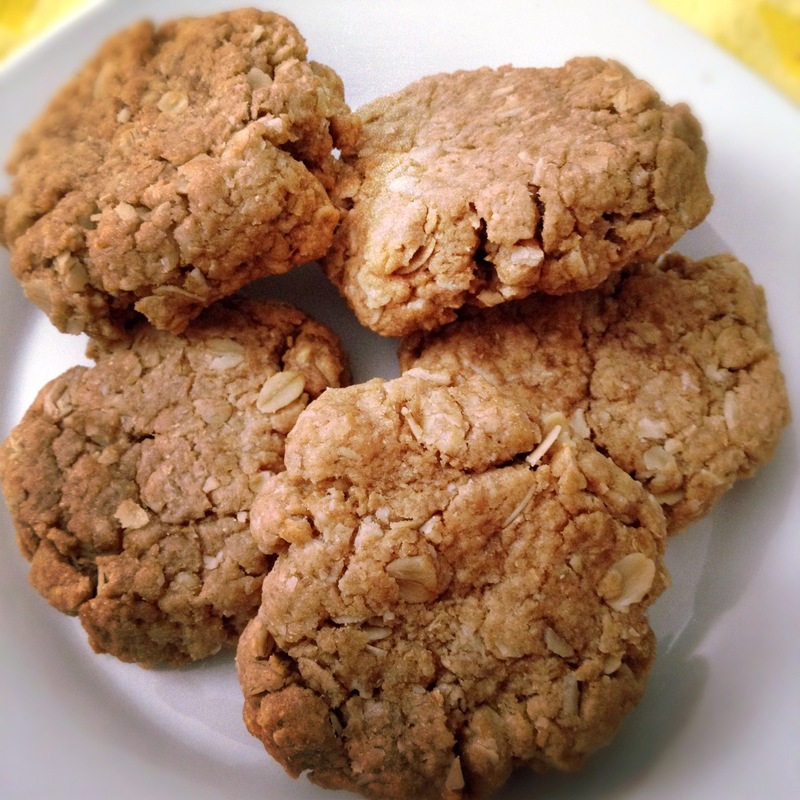 maple almond butter breakfast cookies (vegan). i was in the store the other week and realized that as much as i bake with peanut butter, i’ve never baked with almond butter before. weird. i adoreeeee almond butter. i decided i needed a breakfast cookie in my life, so i threw some things together in a bowl and crossed my fingers it would actually turn into something tasty i could call breakfast. ohhh man. soooo glad i did, because these cookies are gooooood. they may just be my new favorite. i know i just said that about these and will probably have a new favorite cookie tomorrow, but that’s beside the point. 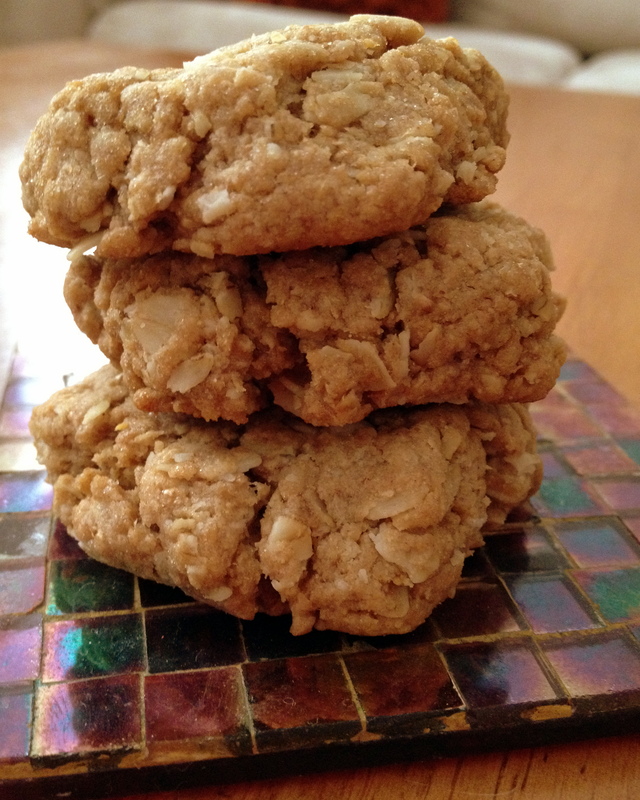 a bonus about these cookies is that there is NO butter or any dairy products, so they are completely vegan. 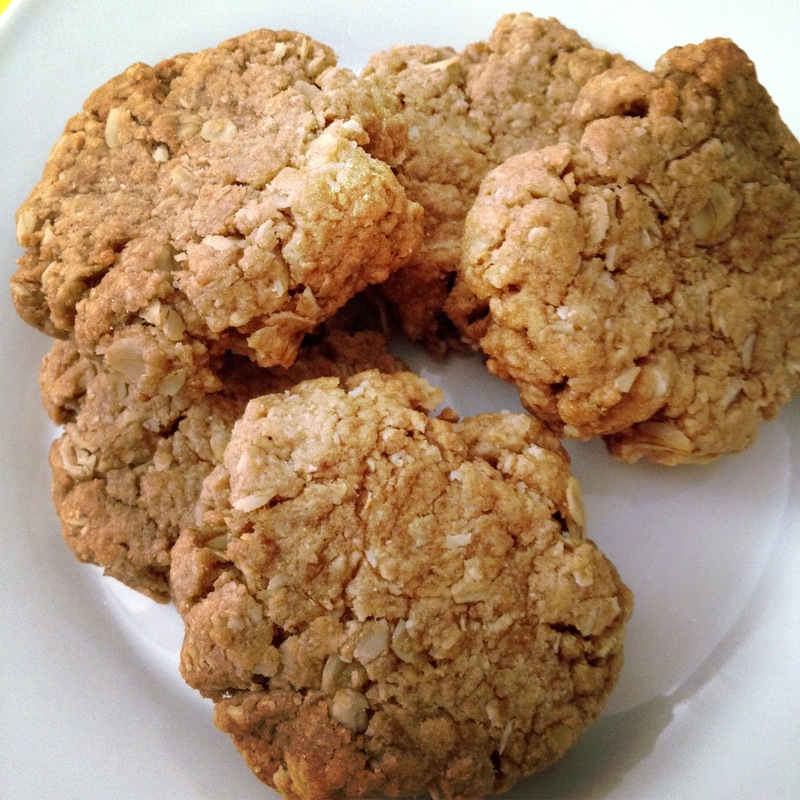 they also have low sugar, are made with whole oats, whole wheat flour, and take about 3 minutes to prep in only 1 bowl. it’s a small batch (1 dozen) and can easily be doubled. In a medium size bowl, mix together the first 5 ingredients. Once the dry ingredients are mixed well, add the last 4 ingredients and stir until combined. The dough will be very thick and crumbly. You may need to use your hands! Roll dough into about 12-13 firmly packed balls. Using the bottom of a glass, flatten the cookies onto prepared baking sheet (the cookies won’t really spread). Bake for 11-12 minutes. Cool completely on a wire rack and enjoy! « vanilla cupcakes for two. You are making my breakfasts so much brighter! I never baked with almond butter either. 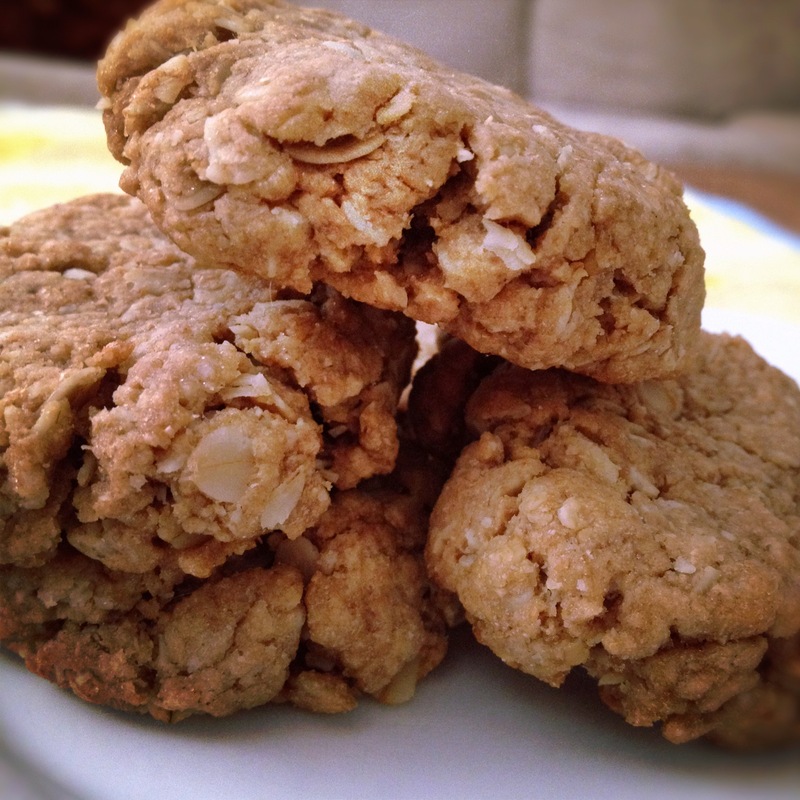 I need more of it in my life by way of your amazing breakfast cookies! these are SO good! I hope you enjoy them if you make them Reeni! Breakfast + Cookies = You are a genius. That is all.